It's not easy to surprise someone who keeps a meticulous schedule and moves from meeting to meeting every day. 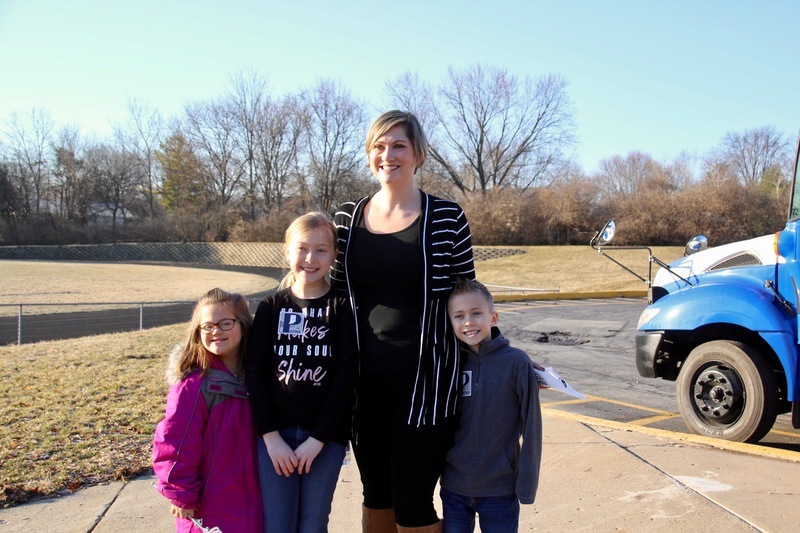 But with the help of family and friends, Beth Shepperd, Director of Special Education for Plainfield Schools, was surprised Monday morning. Van Buren parent Stephanie Garner nominated Beth for the PATINS (Promoting Achievement through Technology and INstruction for all Students) Project's Starfish Award. 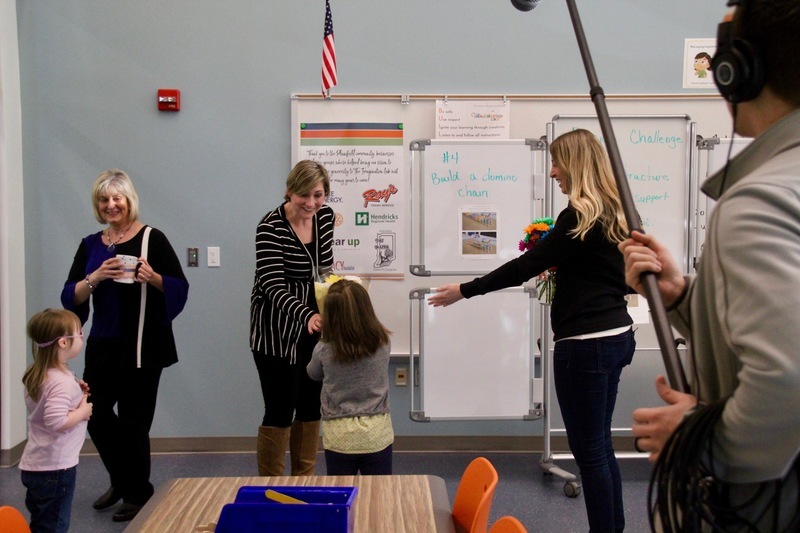 The award is presented to educators who go above and beyond to meet the needs of students through Universal Design for Learning, and implementation of accessible educational materials and assistive technology. 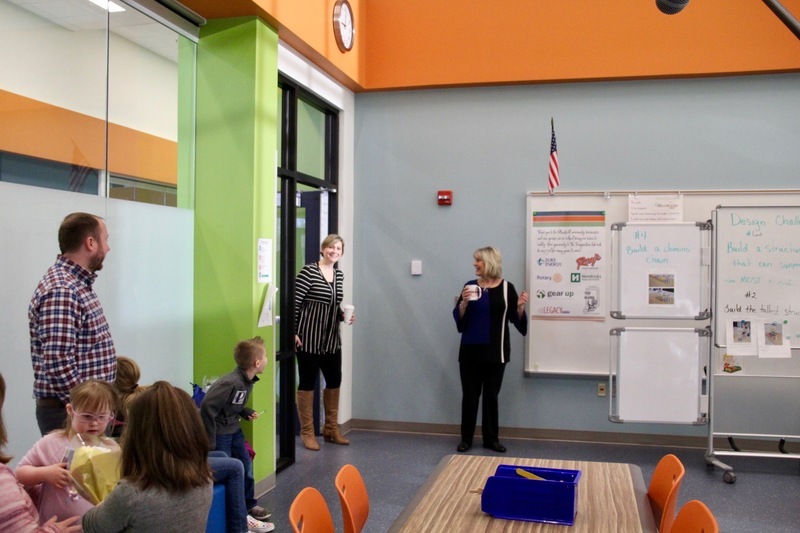 The story of the starfish is one that resonates with the staff at PATINS, where they are dedicated to making school curriculum accessible, even if it means one student at a time. 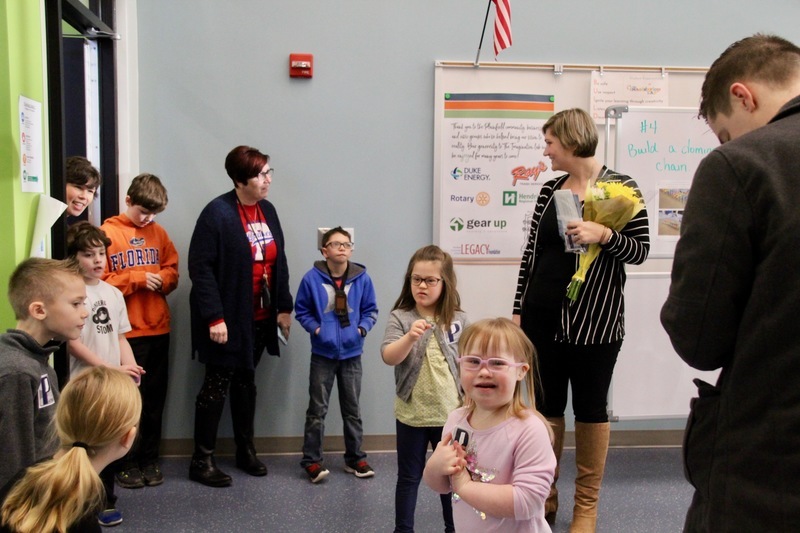 As part of the surprise presentation, Beth's husband and children, her co-workers and several students from Brentwood, Van Buren, Clarks Creek and PHS, were waiting for her when she arrived for a meeting at The Imagination Lab. 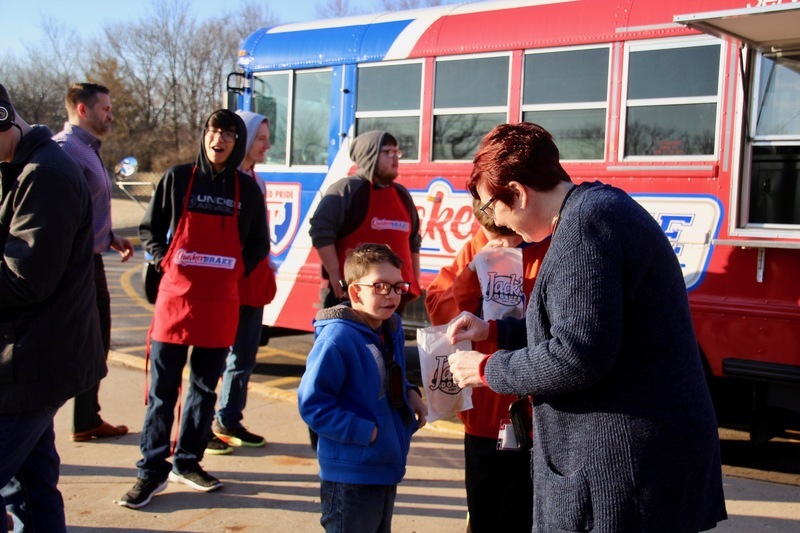 What she didn't realize was that the QuakerBrake food truck was parked in the back parking lot, and was stocked with donuts and bottled water. 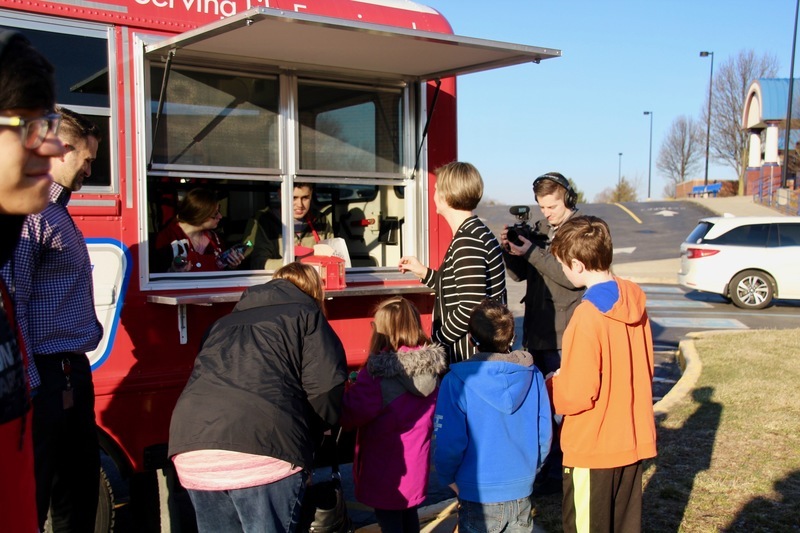 The QuakerBrake food truck is an initiative that Beth has spent a great amount of time on this year. 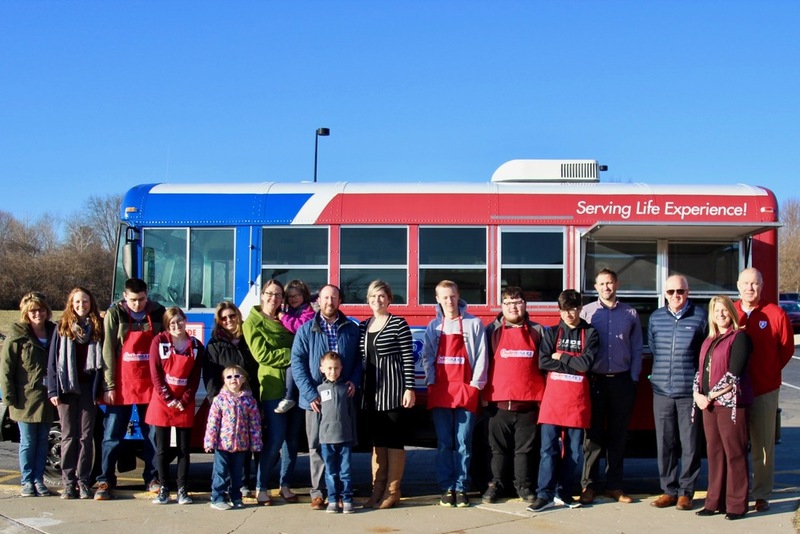 Providing opportunities for high school students to learn social and job skills like communications, customer service, and money management has been a high priority, and everyone looks forward to having the truck, and its students, begin to attend local events. On behalf of the Garner family and the PATINS Project, we all celebrate Beth for her vision and dedication to our students. Whether thinking about all students in our special education programs, or like the starfish, focusing on just one at a time, her focus is laser-sharp.